Got to the hospital about 10.30 am and left behind a gorgeous first day of spring. 25 Celsius outside and clear blue skies! 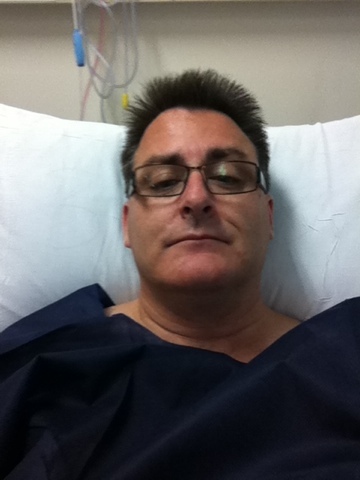 In Pre Op now in my trendy disposable gown & undies. Just had the surgical site shaved and a stocking put on the left leg which is not being operated on. Last food & drink was before 7 am. Now rather thirsty! Nice private hospital on the Gold Coast, Queensland, Australia. What more could I want. And I get to have a few days off too! In the hospital room now. Operation went well. About 4 hours. Will get more detail tomorrow. Long time in post op. Had to get breathing rate up. The operation took just over 4 hours. 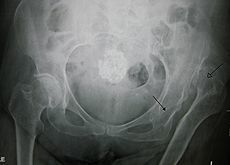 When the hip was opened up there was a lot of white gray granular material as a result of the metallic wear particles. There was bone loss as was expected from the X-Rays. And quite extensive osteolysis. The acetabular cup was in reasonable condition. However the femoral prothesis was loose as expected and was removed easily. The surgeon removed the “top” of the femur to enable the removal of the femoral stem and the excess glue because the original surgeon had not used a glue cap. The femur was wired back together and a bone graft to fill up some of the void. 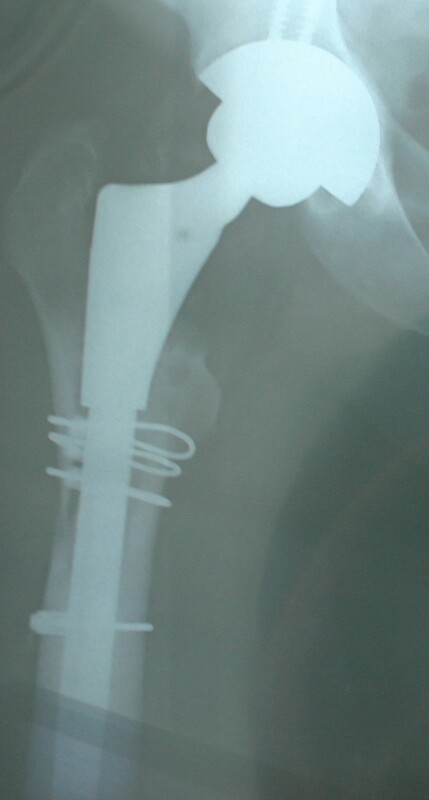 The new Zimmer femoral revision stem was press fitted and as it is longer than the original Smith and Nephew Birmingham Spectron a fourth wire was added to strengthen the femur. 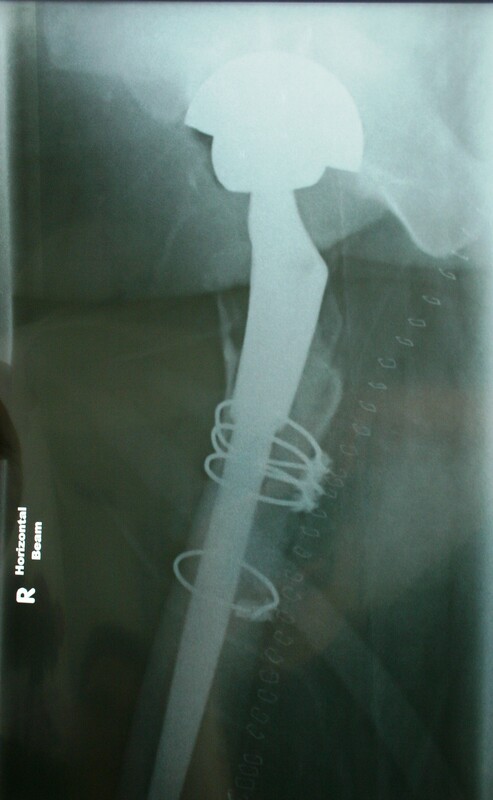 The acetabular cup was removed and the Zimmer revision cup fitted over top of a bone graft and two screws used as well. The femoral head and insert are both ceramic. The pain relief was spinal fentonal (spelling? ), lots of local anaesthetic and general anaesthetic. May have this a bit confused!!! I am on a fentonal pain pump plus panadol and a long acting NSAID pain killer. Pain today has ranged from 2/10 to 11/10 !!! But I am on top of the pain control at present. Hence the blog. I had two sessions with the physio today and they were wonderful. Go went through all the basic exercises and was able to stand with a walking frame However not too much weight on the revised hip because of the bone grafts. I will have to limit the weight on this leg to about 50% for the first 4 – 6 weeks. It is a relief to have the operation behind me. The surgeon and his team did a fantastic job. The care in the hospital is great too. Forgot to mention that I have had to have considerable anti nausea medication! Also I did not need a transfusion which was a bonus. I have compression stockings and pressure boots on both legs / feet. So it was great to have the metallosis and loosening confirmed. The pain and suffering was not imagined!!! That’s it for today. Thank you all for comments and thoughts. Much appreciated. Overnight my pain was quite well controlled and I had reasonable sleep. 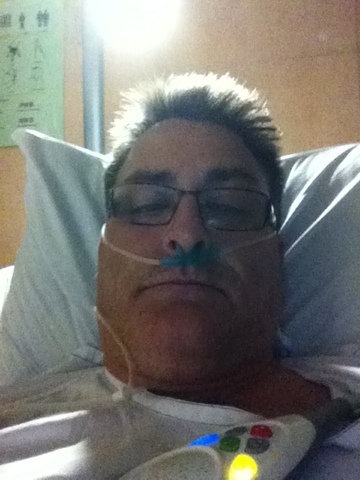 Finished with the pain pump about 4 am and went onto oral morphine, panadol and Targin (spelling? This is the NSAID). Had several doses of anti nausea (Maxalon and Stemitil) IV. All canula’s out now so anti nausea is IM. Anticoagulant injection again – Clexane. Physio came in for bed exercises and went for my first walk with a walking frame. Then I had some wonderful assistance and a much needed shower and shave! Now sitting in a high chair. Nurse has gone to talk to the surgeon as my temperature has increased. So feeling much better cleaner and happier! Apologies for a quiet few days but it has been an intense time. Overall way better experience than the first hip replacement. Have been walking on frame for 4 days now and crutches for two days. Respiratory has been the issue. Have ended up with a chest infection of the “nasty little” variety. Several days of raised temperatures but not high 38.4C. Had a chest X-ray. Seem I have a combination bronchitis mild pneumonia, and some pulmonary emboli. Red sputum etc. Coming out the other side. Enjoying WAY better mobility with the Zimmer Ceramic on ceramic revision system. Will post a photo of the X-ray when I can. I know I am in the slow lane for hip replacements but I am in the fast lane for complex revisions. Here is a photo of the stapled wound area. I came home mid yesterday afternoon and am starting to settle in – found my way back to my trusty computer and about 500 emails! I am feeling OK – took some adjustment to being home last night and it was not my most comfortable one and my poor wife was kept awake with the sound effects and me knocking my water over twice, toilet twice, pain killers once – and feeling breathless from about 4 am onwards! And a migraine to boot. But fortunately I had some medication at hand for that too! The raised toilet seat and adjustable bedside chair were well worth the outlay. 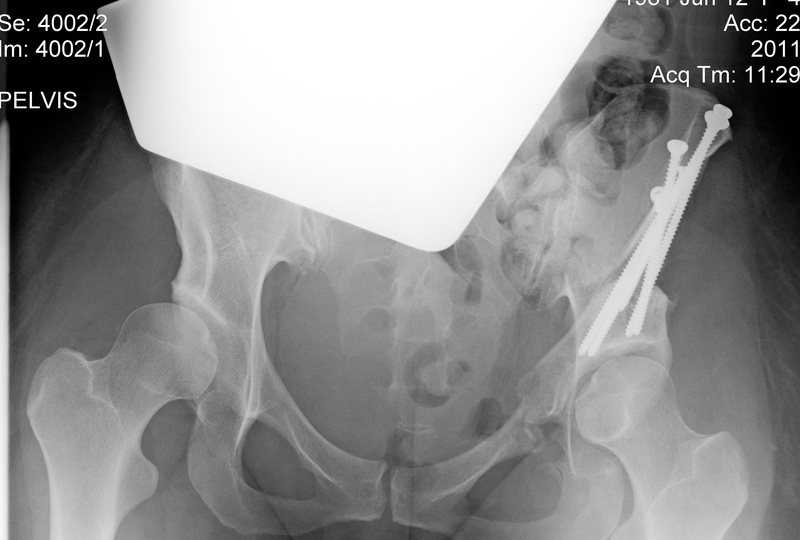 Here are the X-Rays of the revised hip – wired for everything except Digital FM, it seems! Split the femur to remove the previous Birmingham Spectron (S&N) femoral implant and remove excess glue and metallosis gunk. Bone graft to fill voids – wired femur back together to give bone strength while it heals – the fourth wire is to strengthen the mid femur because the new implant has a longer stem. Then remove old acetabular cup – bone graft to fill out the void left – new cup put in and a couple of screws to make sure everything stays in place. Femoral head and cup are now inserted – ceramic on ceramic. The revision system is by Zimmer. To the right you can see the 38 or so stainless steel staples used to close the wound – removed on day 12 with only a few stings – no drama. 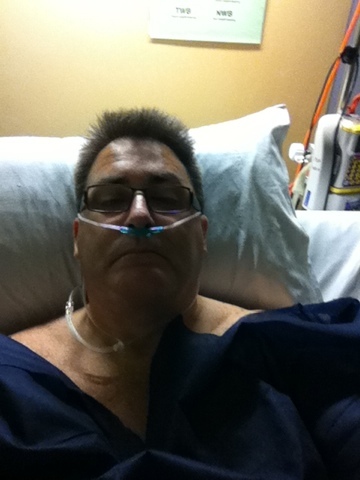 The quality is not very good – taken on day one with me lying on a normal hospital bed and a very creative X-Ray team finding ways to get the required shots without moving me, the pain pump and the two drips too much – a real plumber’s muddle! Next week before I see the surgeon I will get a new set of X-Rays which should be a little crisper! I have been making good progress since the hip revision 1 September – exercising each day. I am now fairly good at only low levels of pain killers – each day gets better. I have been working from home part time when not resting and this seems to be helping the boredom of recovery! I have also been really busy responding to lots of comments on the blog – there are a lot of people going through all kinds of issues with their hip implants. One common theme seems to be that some surgeons bury their heads in the sand and make their patients feel like absolute idiots if they happen to suggest the hip replacement hurts. Several of us have had that issue – and then presto a second opinion or some letter from the hip manufacturer and then they spring into action and identify “a hip or metal on metal problem” followed by quick replacement of the affected hip. What is it with some doctors and insurance companies that makes them think that all patients are whinging idiots looking for sympathy for non-existent ailments? We know our bodies and the pain better than they will ever know – listen to us. The other theme is that a number of patients, like me have auto-immune disorders and this seems to predispose us to metal on metal sensitivity? A more holistic approach to diagnosis and treatment would be great. And here is the X-Ray of the hardware underneath! Is Dysplasia an underlying condition which leads to Osteoarthritis later in life? later in life? I had the privilege of some very insightful correspondence this morning! 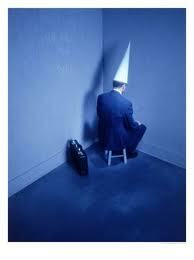 This is a fantastic “blinding flash of the obvious” – please read on! 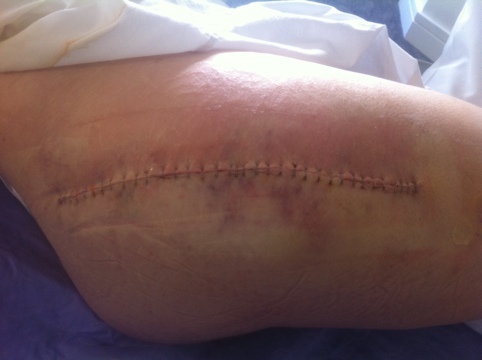 PS – Just over 3 weeks since the operation. A little sore today and so I may not spend too much time at the computer – off for a walk and some natural pain management. Look forward to your continued input. I am a mid-30’s female in the States and was diagnosed with severe bilateral acetabular dysplasia a year ago. Thankfully I was quickly referred to the brilliant, caring team at Children’s Hospital Boston in affiliation with Harvard Med. School who acted quickly and performed two very successful Peri-acetabular osteotomy (PAO) surgeries (joint-preserving surgeries) on my hips in the past nine months. I was so thankful that I found the Hospital Team and the PAO before it was too late and a replacement was the only option. I have heard from my surgeons time and time again that hip dysplasia is the #1 cause of OA- and by extension, the #1 reason for hip replacements– yet there is a STAGGERING lack of awareness of hip dysplasia in humans in our society. At the risk of sounding like a total conspiracy theorist, I have serious questions as to why there is such a lack of information (pharmaceutical industry cover-up??) on the PAO surgery and hip dysplasia, and why we are bombarded with information on joint replacements. Obviously is it not in the best interest of DePuy, or other manufacturers’ bottom lines to make information about alternative, preferred treatments to dysplasia available. It just makes me sick that even though one in every 1,000 babies is born with some degree of dysplasia, it is still more well known in dogs than in humans. I suspect based on her description of her symptoms that she had dysplasia, though she never referenced a diagnosis. 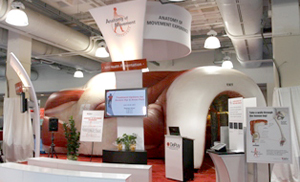 Also, there was not one mention of dysplasia as the #1 cause of OA in hips. I wasn’t surprised, but yes, I was upset. 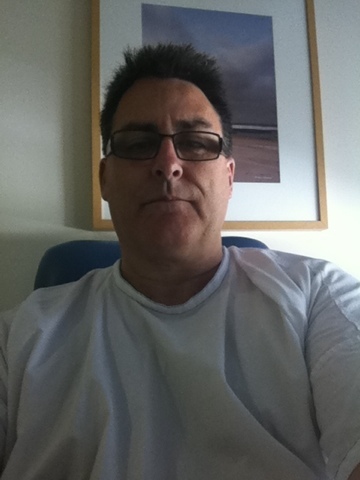 I immediately emailed DePuy’s rep, as well as my surgeons at HMS, mostly just to make myself feel better! What you tell me fills in a really big gap in my thinking. You make some great points about Dysplasia. I wonder if I had some Dysplasia originally? Just enough to set it off. Thank you for your story and I look forward to staying in touch. ML’s Response to me – here comes the blinding flash of the obvious!!! 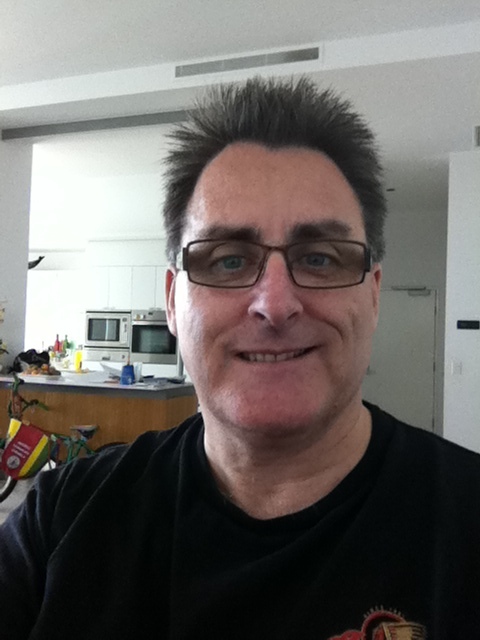 Hi Earl, it is great to hear back from you so quickly and thanks again for your great blog. 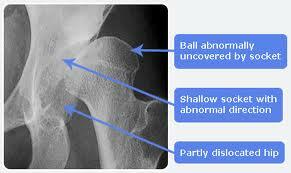 A “dysplasic” hip is a hip that has dysplasia. If caught early enough (on a simple x-ray, I can literally spot dysplasia now and I’m not even a doctor), dysplasia can be completely corrected. Somehow it doesn’t surprise me that no one ever pointed your dysplasia out to you, though I am so sorry that is the case and you have had to deal with all of this. Often it is caught in infants, but if missed, can cause a lifetime of suffering. What’s so troubling is that so few people know about dysplasia and the corrective surgeries that can fix it. Uncorrected, a dysplasic hip (as you know from firsthand experience) will almost certainly develop OA, and unfortunately this tends to happen in younger patients. I was diagnosed with dysplasia at at age 29 while training for a half marathon and complaining of dull groin pain, and literally three months later was on the operating table, voluntarily having my pelvis broken in three places to correct the dysplasia. Six months later (after learning how to walk again) I was on the table again, this time for the right hip- this was five weeks ago. I am now 30 years old and learning to walk again for the second time this year. Though my symptoms were really, really minimal at that point, I knew from the stories of others with dysplasia that the clock was ticking down and I didn’t want to wait until my window of opportunity to have the PAO was over (once OA really takes hold in the joint, PAO is no longer an option and the joint must be replaced. That’s why time is of the absolute essence. I shudder to think if I hadn’t been referred to to the Team by my primary doc here in Boston when I first showed up complaining about stiff hips a year ago. However, I feel strongly that I need to get out there and make sure others who may be candidates for these surgeries can learn about them before it is too late. Simply stated, there is no one with a vested interest or a strong enough incentive to spread information about joint-preserving surgeries such as the PAO. Pharma companies don’t stand to profit, and would prefer that folks just wait for it to get bad enough to need a replacement. That’s why you see virtually no mention of dysplasia or the PAO on websites such as the Arthritis Foundation’s www.arthritisfoundation.org, or (obviously) on DePuy’s website. It is logical, but it is also sickening as the patients stand to suffer for the corporation’s profit. Let me know what I can do to help. Best to you, and thank you again for your hard work in bringing the truth to light! Now that risk has been eliminated. In the time period since this x-ray was taken, I have also had my right side corrected and the screws removed from my left hip. I plan to have the screws removed from the right hip this winter. At the end of this whole process, nothing will be left by my bone- no artificial components!